Hi there...posting my last piece of homework for Online Card Classes Clear and Sheer. This technique can be used on both vellum and acetate. I just like the look better on vellum. Another piece of homework for Online Card Classes Clear and Sheer. For me this technique was worth the price of the class. I love this and several of my card recipients love sparkly cards. It is hard to tell above, but that flower panel is sheer and glittery. Here it is after midnight and I am working on class homework for Clear and Sheer over at Online Card Classes...reminds me of those college days. This is my favorite type of set up, 4 class days back to back. I tend to lose a bit of interest after 4 days and its a struggle to do the homework. (I am already 1 day behind). Another vellum card, I love the technique of dyeing the vellum with ink for a different look. This card is going to my Dad, so it needed to not have flowers all over it! I signed up for the current class at Online Card Classes called Sheer and Clear. Today's lesson focused on attaching vellum. Hello...I've been in a bit of a creative slump. A dear and long time friend of mine recently passed away; three weeks after being diagnosed with stage 4 cancer. Needless to say the diagnosis and rapid decline were both shocking and heartbreaking. In the last two weeks we had some serious conversations, and some truly silly 2 O'clock in the morning slap happy ones. I am glad we were able to giggle together one last time even though we were 3000 miles apart. So, I say (and we all know this- but a gentle reminder cannot hurt) treasure your friends, family and loved ones. It can end in a millisecond. For April's Card Chain Challenge over at Deborah's blog, I sent my card to England. My recipient has received it so I can share it now without potentially spoiling any surprise. I decided to use a Penny Black image, as my selection of the design choices available (and there are always 4-6 choices). It is quasi no line coloring...my stamp was in SSS fog ink, and my yellows and oranges didn't quite cover it up. Nonetheless, I was happy with the outcome. I love a square card with a round focal point. The sentiment comes from CTMH, and the flower is Penny Black. The background stamp is Hero Arts. You can still sign up for May's challenge here until May 6, 2016. I have hydrangea plants in front of the house. They are the blue mop-headed ones. They bloom beautifully the first bloom, then some sort of fungus takes over and slowly kills the leaves. We spray with copper base anit-fungal, but the result is always the same. So when I saw Essential's by Ellen's Mondo Hydrangea stamp...I knew I could have the hydrangeas I wanted all year long. I used MFT's arched stax to mimic the mop head shape and made my own patterned paper for the back drop. The blooms were colored with Tombow markers in purple and blue and blended on watercolor paper. The hello die comes from WPlus9. Today I am hosting another scramble at the Hero Arts Flickr group. It just went live at 5pm edt, and will run until 6:30 pm edt. I provided a sketch challenge to the crafters, a choice of two sketches to highlight their favorite Hero Arts Stamps, Stencil or die. I made two sample cards. These scrambles are run every two weeks at the Hero Arts discussion group in Flickr. Stop by and play along some time. I fell in love with a card that I saw at Nichol Mcgourik's you tube channel. You can check out the video here. It struck me as a perfect card that can be sent for almost any occasion. Nichol used water colors and heat embossing. I decided just to use ink with stamps that had their own depth. Once I made one card I had to make another...and then I thought this should work well for man cards too! In other news it is less than 24 hours until I am hosting a scramble over at the Hero Arts Flickr Group. 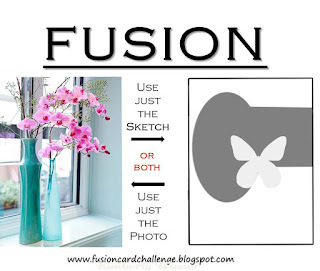 It is one of my favorite challenges because each participant gets 90 minutes to create a card, photograph it and upload it to the gallery. Most times all the participants will take the time to comment on your creation, and there are often prizes. 90 minutes seems like a very quick run, but it is plenty of time. None of the cards above took more than 30 minutes. When I scramble I allow my self 10 minutes to pick out stamps, ink and embellishments. I give myself 45 minutes to make the card, and 35 minutes for the photography and uploading. This time I am hosting, and my card examples are finished, I'll be posting them tomorrow. If you have Hero Arts stamps, stencils, or dies come by the flickr group and play along. Here is a link to the discussion page. You'll need to be a flickr member and you'll need to add Hero Arts to your groups. Its all free to do. I hope to see some new faces playing along! I am so excited to be a guest I-Teamer over at Words 2 Craft by today. I have to thank the lovely women over at W2CB, for selecting my project in February and extending me an invitation to be a guest I-Teamer for the April challenge. I kept seeing an image of a spring umbrella festooned with flowers. I used Simon Says Stamp Tiny flowers die, and their new felt. The umbrella is a wood veneer piece by freckled fawn, I colored with white pencil before attaching the flowers and gems. 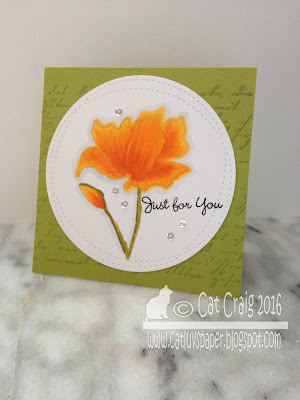 Stop by the Words 2 Craft by blog to see what the I-Teamers have put together for inspiration. In addition to the fabulous I Teamer's inspirations there are two prizes up for grabs. If you don't already follow, consider it. There will be one follower of the challenge and one participant in the challenge randomly selected for a Paper Smooches gift certificate. The winning entry will be invited to be a Guest designer for a future challenge. I love that Mondo Hydrangea stamp from Essential's by Ellen. It makes for a beautiful centerpiece and fabulous patterns for a background. 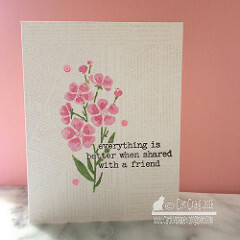 I stamped on watercolor paper with versafine, colored with Zig Clean Color in peach pink. Some blooms were full color, some no color just left over water and some in between. I love this stand alone die set from WPLUS9. I admit I got it for the banner and the Hello sentiment and the botanicals were kinda a bonus. I tried playing with these dies in two ways, with some SSS Felt, and with cardstock and markers. The felt cut so easily with the dies, but it was a little hard for me to place on the card fronts. I finally manged to use some post it's to get the positioning turned over for gluing with glossy accents. I made three cards in the same color families as the felt colors. I think the dies might be a bit small for the felt, the felt was a bit fragile and only a few of the outline portions of the dies held up without tearing. Next up, I used cardstock and copic markers. In this the medium those dies really shined for me. The white outlines and spring colors really stood out on the swiss dot embossed kraft card base. I added a few sequins to finish it off. Man cards...men just need to embrace a love for flowers then I wouldn't spend hours agonizing over what to put together. My family and extended family has more males than females so I get lots of practice. My fall backs - Kraft, Blue, Green, nature animals, sea/water stuff, and when all else fails maybe some man-centric patterned paper with tools or fish or stamps. That is it that is all I have. So, here is one more of my April birthday cards. Supplies, Random bazzil dotted paper scrap, kraft card base, SSS Catkin ink, Stampin Up's By the Tide stamp set and PTI's Keep it Simple Happy Birthday. A very good friend of mine is a Horse lover and boards them. When I picked up MFT's The Whole Herd stamp set I knew several of these images would be going to her. Lately I have been playing with very simple cards on a smaller canvas. This one happens to be A1 sized 3.5 by 5. This card is perfect for my plan to send out silly cards for no reason at all this year to all of my friends. Not just the traditional card occasions, but something just because...and I want them to be silly. I want them to bring a moment of lightness. I think this one will fit that bill with my dear friend. Chark hosted a scramble today, and her theme was mix it up. Use stamps and sentiments from different sets together. This scramble is hosted at the Hero Arts Flickr group, and if you have followed my blog for any length of time, you know I love these challenges and it is how I started with cardmaking and blogging. 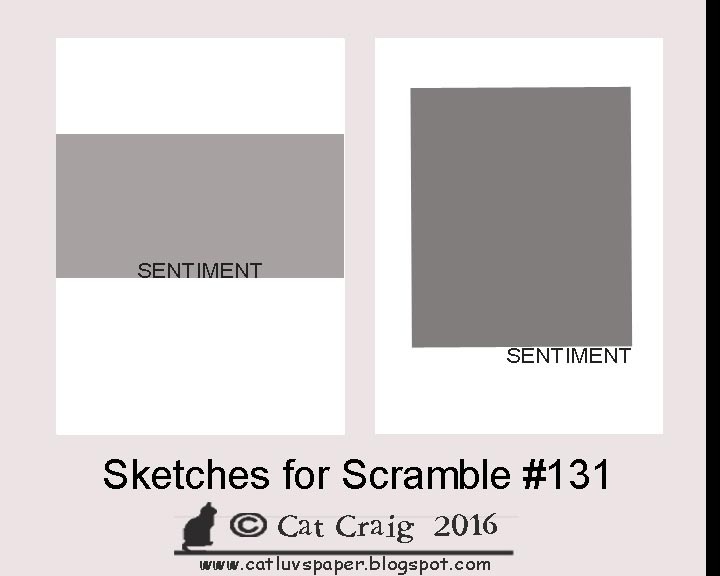 I am mailing a lot of cards lately and need flat ones so this is a perfect scramble theme for me. I used S5601 Newspaper Background (woodblock) ; the solid flower image from CL779 Night and Day Flowers, and a sentiment from CL487 Thank You for Being my friend. The flowers were colored with Memento markers in Angel Pink, Lulu lavender, Rose Bud, Cottage Ivy and Pear Tart. I used my MISTI to get color saturation on the blooms. The sentiment was inked with versa fine onyx black and the bits overlaying the colored image were outlined in white jelly roll pen ink to make it easily readable. And some pretty pink posh sequins in pink peony. Want to challenge yourself? Join me as I host the next scramble in the Hero Arts Flickr group discussion forum (click this for link). 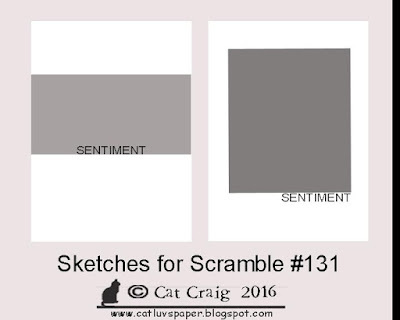 You'll have 90 minutes to create a card using my theme given to you at the start of the scramble. You'll photograph it, upload it to the gallery all in 90 minutes...I know it sounds scary but, when you have limits sometimes you get your best work...because you don't have time to overthink! Oh and there will be prizes offered. Time: 5 PM EDT Click the like below for the time in your neck of the woods. Supplies needed: Hero Arts - Stamp or Stencil or Die Cut or Digital Content from the Silhouette or Hero Arts stores. (lots of choices) and supplies to use your image/background choice. Thanks for stopping by, hope to see you at the Scramble! I made up a few of these cards, because I always need thank you cards. It's been some months since I used this multiple step stamp so I pulled it out again. I like making smaller cards with a simple image for a note card. This card is 3-1/2 by 4-1/4 inches. I like that I can get 3 card bases from one 8-1/2 by 11 sheet of cardstock. I used the smaller of the two rectangle dies in Avery Elle's wonky stitches for the image panel. I used three inks for the image Hero Arts Bubble Gum and Raspberry Jan, and Wplus9's Sweet Gelato. The greens are Hero Arts Field greens and Lime green. Hello! I needed some thank-you's my stash had run dry. So I am up in the middle of the night getting them done. I want to mail them tomorrow, well now today. I started with inspiration from the Fusion Card Challenge. Clearly Besotted has some gorgeous flowers. I don't have them all, but I do have the miniature versions from the miniature florals stamp set. The orchids really grabbed at me and those were my inspiration. Here is my card, I used copics for color, some specrtrum noir sparkle brush pen and some glossy accents on the image. Dies were stitched ovals from MFT, and the bow from PPP Twine and bows. My backgrounds are a hero arts stamp. The card size is 1/2 of an A2 card. Then I went on to make a few more, I needed 5 cards. Every time I see orchids, I remember having my office space filled with the lovely flowers. Thank you hubs for still spoiling me with flowers 12 years into this romance!